The tax authorities are stepping up checks on businesses to nab and deter Goods and Services Tax (GST) cheats. GST is now the No. 2 revenue-earner for the Government after corporate income tax, and netted $9 billion in the financial year ending March 31 last year, up from $2.2 billion 10 years earlier. 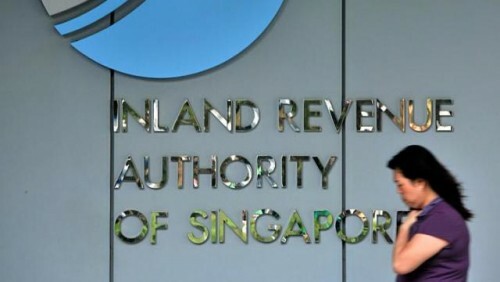 Through regular audits alone, the Inland Revenue Authority of Singapore (Iras) has recovered an average of $110 million annually in the past five years from businesses that were ignorant of, or negligent in complying with GST rules. Investigations of 130 suspicious cases over the past five years resulted in 20 people being prosecuted and 12 sent to jail. Iras also recovered $37.6 million from these cheats. More prosecutions are expected, Iras investigation and forensics assistant commissioner Loh Lee Kim told The Sunday Times. Assistant commissioner of the GST division Sabina Cheong has a team of about 120 auditors checking on some 3,000 GST-registered businesses a year. They pass suspicious cases to Ms Loh's team, which has upped the number of GST fraud investigators from three in 2005 to 10 now. More business owners may be tempted to cheat, they said, given that the GST rate has risen from 3 per cent when it was launched in 1994 to the current 7 per cent and larger sums are now involved. Ms Cheong added: "Some people not only try to cheat by not paying GST, but they even try to cheat and get money out of the system." Many cheat by submitting fake or inflated claims. GST-registered businesses can offset the GST they pay for their purchases, known as input tax, against the GST they collect from the sales of their products, or output tax. If a business incurs more GST on purchases than it collects from sales, it can claim the difference as a refund from Iras. Some cheat by claiming that they spent much more on their purchases than they actually did, in order to get a refund. But when asked for proof, they claim their records were eaten by termites, destroyed by floods or fire, or lost while moving office, Ms Cheong said. One man in his 30s set up a shell company, claiming to deal in computer parts. In 2010, he applied to register his firm for GST even though he did not have to as only businesses with an annual taxable turnover of over $1 million must do so. He filed his first fictitious returns to claim GST refunds of about $36,000, when there were no business transactions at all. When Iras asked for supporting documents, he forged two purchase invoices. Pressed further, he claimed that a friend was the one behind the scam, but he could not provide any details about the friend. In 2012, he was fined close to $300,000 and jailed for one and a half months. Others run foul of the law by collecting GST even though they are not registered to do so. Last year alone, Iras found about 100 companies collecting GST unlawfully. They include a 60-year-old businessman who collected close to $20,000 in GST from his clients. He was selling security and fire-fighting equipment, but his was not a GST-registered business. He used the money to pay credit card and other bills. He had to pay about $136,000 in penalties and fines. At the opposite end, there are businesses that should be registered for GST because their annual taxable turnover exceeds $1 million but they fail to do so, and that flouts the law too. Mr Lam Kok Shang, head of indirect tax at KPMG in Singapore, said that clients can check the Iras website to see if a business is GST-registered, so it is not easy to fool people into paying GST if a business is not authorised to collect it. He felt that most businesses fail to register for GST as they are not familiar with GST rules and not because they are out to cheat. Tax experts said Iras is sending a deterrent message by increasing the number of GST fraud investigators. Mr Yeo Kai Eng, partner of GST Services at EY in Singapore, formerly known as Ernst & Young, said: "I think Iras is just being vigilant and they want to send a clear and strong message to tell people not to try any tricks as they are watching." The taxman is paying more attention to two areas this year when it comes to compliance with Goods and Services Tax (GST) rules. One is the sale of non-residential properties. The second is the logistics industry, Inland Revenue Authority of Singapore (Iras) assistant commissioner of the GST division Sabina Cheong told The Sunday Times. She explained that GST has to be charged for the sale of non-residential property, such as office or factory space. It has found cases when businesses did not charge the buyers GST when they sold their non-residential properties. Or a business may have collected GST from the buyer but did not pass it on to Iras. As such transactions are usually of a high value, the amount of GST not paid can be substantial, she said. As for the logistics industry, Ms Cheong noted that freight forwarders who provide logistics services such as the transportation and storage of goods may think that all their services can be zero-rated. This is because goods and services to be exported are zero-rated, which means there is no GST charged. Tax experts say that the focus on the sale of non-residential property could be due to the fact that the market for such property has become hot in recent years, with many transactions taking place.